Andrea Carè, tenor. One of the most important artists among the new generation of Italian operatic artists, tenor Andrea Carè completed his musical studies at the Giuseppe Verdi Conservatory in Turin. Among the last students who had the privilege to study with Luciano Pavarotti, and a protégé of legendary soprano Raina Kabaivanska, he was the winner of the 2005 Spoleto International Opera Competition. In 2013 Carè had many important debuts: Ismaele in Nabucco at the Covent Garden in London, Cavaradossi in “Tosca” at the Staatstheater of Stuttgart and at the Opèra du Rhin in Strasbourg and Sigurd at the Victoria Hall of Genève. He sang also Gustav in “Un ballo in maschera” at the Royal Swedish Opera in Stockholm, Don José at the Teatro Verdi in Trieste and Pinkerton at the Opera festival of Budapest. In the 2012 season Carè made his debut as Gustav III in “Un ballo in maschera” at the Royal Swedish Opera in Stockholm and as Macduff in “Macbeth” at the Grand Theatre de Genève. He also sang the role of Pinkerton in “Madama Butterfly” in Teatro dell’Opera in Rome and Don José at the Royal Swedish Opera in Stockholm. In the 2010-2011 season Andrea Carè returned to Turin in “Madama Butterfly”. After performances of “Carmen” in Padova and Rovigo, he made his German debut in the title role of a new production of “Samson et Dalila” in Nurnberg. He was next heard at the Hamburg State Opera as Don José and made his debut at the Deutsche Oper Berlin and at the San Carlo in Naples in the same role. Carè debuted at the Teatro Petruzzelli in “Norma” in May of 2011. In January 2010 Carè sang at the Teatro Massimo in Palermo as Ismaele in “Nabucco”. He was then first heard in North America as Don José with the Palm Beach Opera and debuted at the Savonlinna Opera Festival as Pinkerton in “Madama Butterfly”. In the 2008-2009 season Andrea Carè debuted at the Teatro Comunale in Bologna as Pollione in “Norma” and was also heard as Giasone in Cherubini’s “Medea” at the Teatro Regio in Torino and as Alfredo in “La Traviata” in Ravenna. 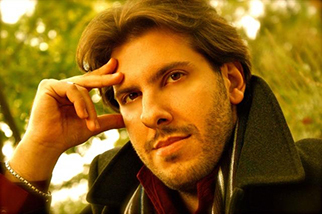 He made his debut at the Teatro Massimo in “Medea”, returned to Turin as Alfredo in “La Traviata” and then made his debut with the Rome Opera’s season at the Terme di Caracalla as Don José in “Carmen”. He debuted at the Teatro alla Fenice in Janacek’s rarely performed first opera, “Sarka”. His developing operatic repertoire also includes three important Verdi roles: Gabriele Adorno in “Simon Boccanegra”, the title roles in “Don Carlos” and “Stiffelio”.